In almost every interactive situation, whether at work or out with friends and family, a bright, healthy smile gives us more confidence. When tooth decay becomes an issue, it can affect the way we feel and, if not addressed, will become a bigger problem. Inlays or onlays are services offered at Creekside Dental to improve the appearance, strength and overall health of your teeth. More conservative than a full-coverage crown, inlays/onlays may be a restorative option to repair and strengthen damaged teeth. Inlays and onlays can be made of gold alloy metal, or tooth-colored ceramic or zirconia. Used on molars and premolars, inlays/onlays are recommended when there is too much damage for a smaller filling to be done, but a full coverage crown restoration may not be necessary. The primary difference is in how much tooth structure is covered with the restoration. Preparing a tooth for an inlay or onlay involves removing decayed and damaged areas of the tooth. The remaining healthy tooth structure is then evaluated to determine if an inlay(most conservative), onlay (greater tooth structure replacement), or crown (least conservative but most protective) is recommended. The restoration is either waxed and cast in metal or milled in a tooth-colored material. The final restoration is then placed with dental cement. When deciding on an inlay or onlay, the amount of affected tooth structure is the main determining factor. An inlay can be used in smaller applications. If the damage is more extensive and involves more surface area, an onlay or a full coverage crown may be necessary. At Creekside Dental, we believe in a conservative approach to treatment whenever possible. The more natural tooth structure can be preserved, the better. 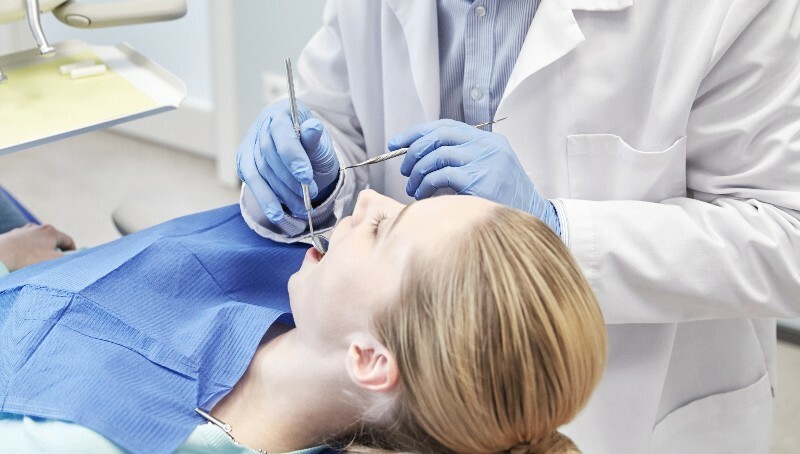 Of course, the best way to avoid the need for inlays, onlays, or any other dentistry is through good regular brushing and flossing habits, and regular preventive dental visits. If you are currently having issues with a tooth, or any dental concerns or questions, contact Creekside Dental today.